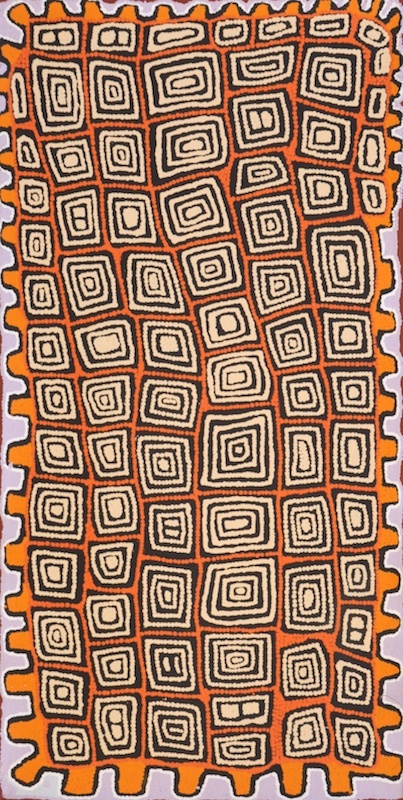 Patrick Tjngurrayi first painted in about 1986 for Warlayirti Artists in Balgo. 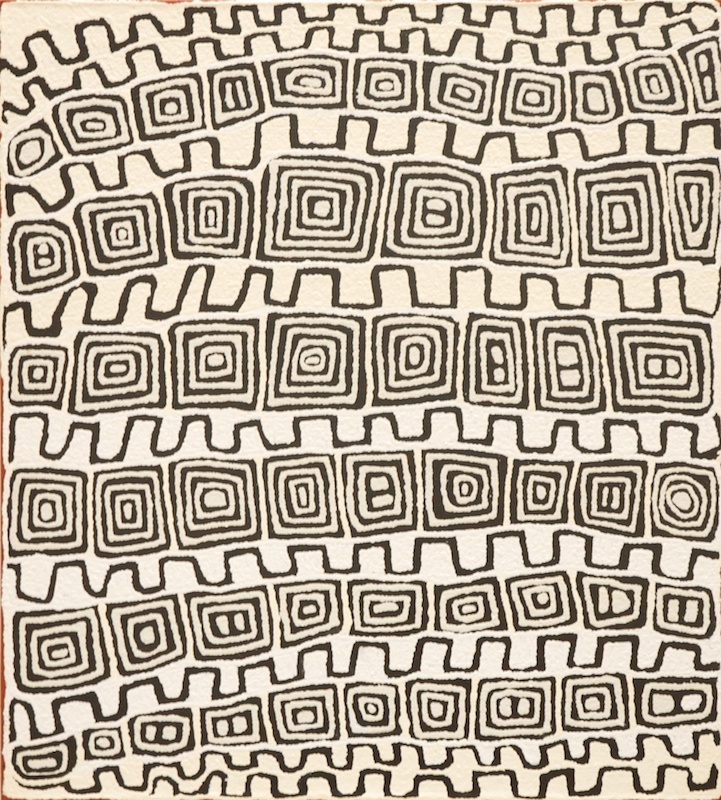 In the early 1990s he moved to Kiwirrkurra and began painting regularly for Papunya Tula Artists from 1993 onwards. 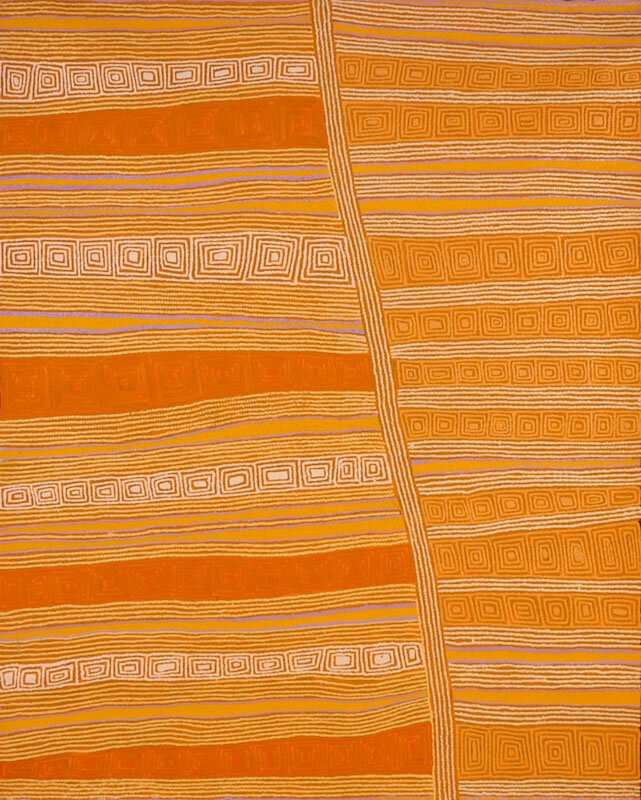 “What Michael Rae, art coordinator at Balgo, said of Patrick’s work in the late 1980s still applies: ‘The artist comes from the heart of the Gibson Desert and his art displays the profound degree of abstraction typical of that area. 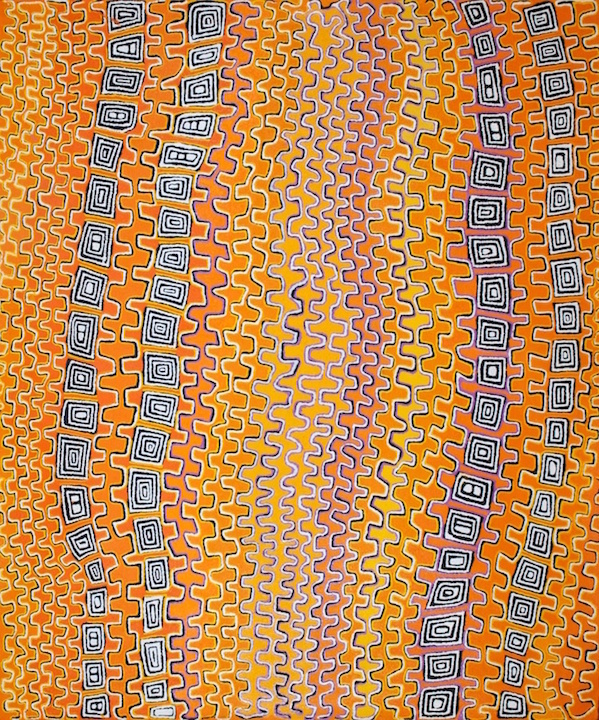 The designs are invariably powerful and direct and resonate with the artist’s great understanding of the Law” (Vivien Johnson, 2008). 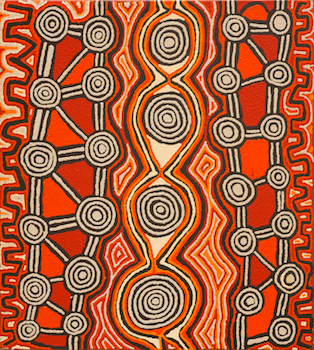 Patrick’s work is included in the collections of the Art Gallery of New South Wales, National Gallery of Victoria, Aboriginal Art Museum, The Netherlands, and Artbank.